So… I learned a bit about RCA and VGA today. 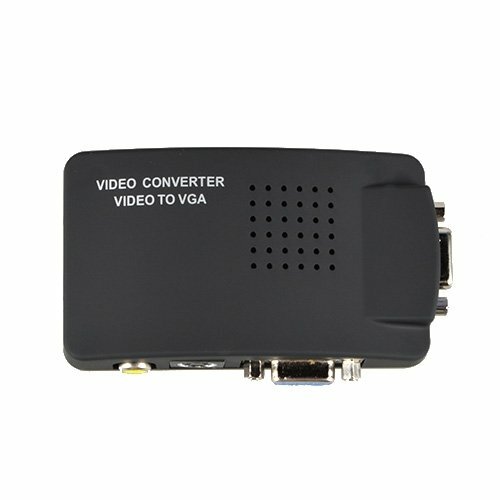 VGA is a component input, RCA is a composite input. What does this mean? RCA has the signal all on one wire and the devices that use it separate it electronically. This compromises fidelity, or information density which is why it’s great for 640×480 and TV but not for 1080p or 4K. 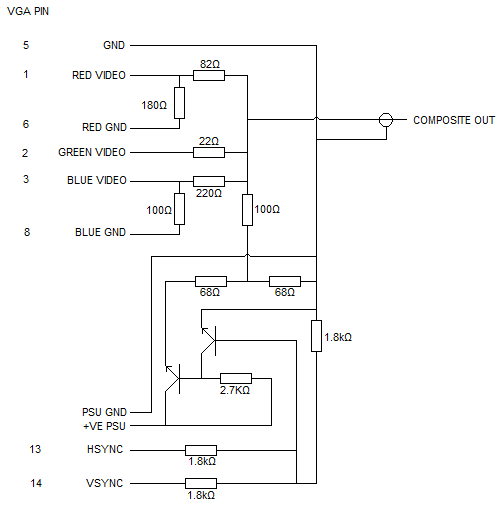 VGA on the other hand is a component signal, red/green/blue, vertical/horizontal sync etc. I’m not sure how well this would work… it’s a little too good to be true.. but it gives you an idea of what is going on. This circuit only generates greyscale…. or black and white video. 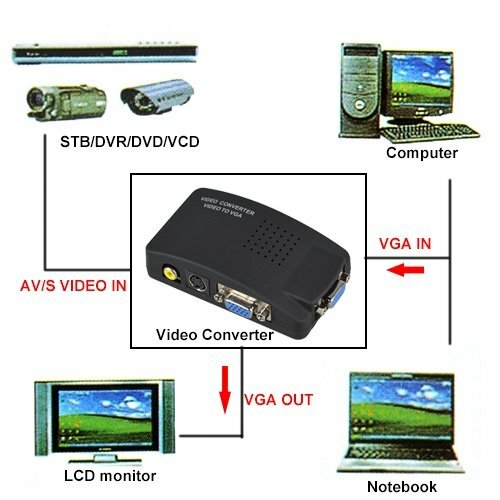 In case you were wondering how hard can a video signal be? lol…. it’s complex. Really a marvel of radio engineering. Courtesy of Field Effect LLC, click to follow to article. I picked up an Orange Pi Zero recently. It’s an interesting Single Board Computer (SBC) with a quad core Allwinner H2. The best part is that this is a $7 system. $3 for shipping. It has 26 pins for GPIO, 9 of which are Ground and 3.3/5v power. That leaves 17 for fun and games. It also has a dedicated audio in/out, USB header, IR in, and TV out. All bundled to a quad core 1080P chip with wired and wireless ethernet. It still needs a microSD card, but an 8GB unit can be had for $3.50 from AliExpress. You also need a micro-usb power source. no big deal. The Armbian image is based on Debian Jessie and needs about 1.2G of storage. I was unable to get the video out to work, but I think it’s a driver issue.